Are you planning on staying in your home during your golden years? Let us help you discover how to age in place in your home using Universal Design! We’ll talk kitchen and bath Universal Design and discover how you can live comfortably in your home for years to come! Find out what kind of roadblocks to avoid and what kind of hidden surprises might await you during your home renovation! Join our design and remodeling experts as we discuss our planning, design, scheduling and more at our free educational seminar! Come join us as we celebrate 36 years of successful renovations at our Annual Open House! You’ll enjoy our free educational seminars, a meet and greets with our designers, food, fun and prizes! Come meet the whole Foster team at our recently remodeled showroom and see why Foster Remodeling Solutions has been a Northern Virginia favorite for the past 36 years. You wont want to miss this! This beautiful cooking, dining and entertaining space used to be three small, dysfunctional rooms. The tiny 1950’s kitchen had minimal counters and cabinets. The dishwasher, added later, opened directly in front of the sink, making loading and unloading difficult. Adding frustration, the tight space also served as hallway for the back door. The dark dining room sat four people. Six was a stretch. The rear porch, too cold in winter and hot in summer, served as a catch-all. Now the owners feel like they’re staring in their own cooking show and dining at the best table in their favorite restaurant, all without leaving home. Natural light pours through the large picture window and travels unobstructed through the open space. The new back door provides convenient access to the yard. Eight can sit comfortably at the dining table while three more sit at the bar. Everyone can interact with the cook, or cooks, in the kitchen. Come and see the transformation for yourself and speak to the owners about their experience working with Foster Remodeling Solutions. 35 Year Celebration – Seminar: Adding On: Up, Over or Out? Adding On: Up, Over or Out? Up: Consider adding a second level. Out: Take some space from that large lot you have and build yourself a larger kitchen with a screen porch. Our experts will help you make sense of these options and the costs associated with them, so that you can decide what type of project best suits your growing needs. 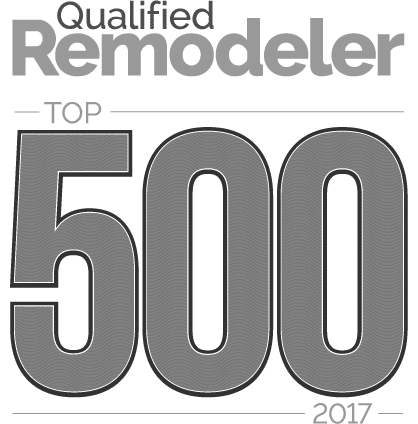 https://fosterremodeling.com/wp-content/uploads/2017/12/Manassas_10183_09.jpg 1080 1704 Foster Remodeling /wp-content/uploads/2017/11/logo.png Foster Remodeling2017-12-06 11:39:132018-03-20 10:31:1835 Year Celebration - Seminar: Adding On: Up, Over or Out? Have you been dreaming about a remodeling project? If so, please join us for a seminar where we’ll discuss concepts, inspiration, and industry insight! Our talented design consultants will provide you with fun and educational information to help you understand the trends, terminology, and materials to get you started. We’ll also discuss the common kitchen and bath challenges that we, as designers, have encountered. See how we have overcome them using our design expertise and industry resources. CLICK HERE to download the flyer. Confused about how to make the most of a small space? Just because it’s small does not mean you have to compromise on style or function. Join our creative design team as they help you untap the potential of a smaller space. Using creative solutions, we will help you realize that there may be more than meets the eye!